Well, it was a brilliant 4 weeks, but on Sunday evening I had to say a teary goodbye to mum at the airport as she started her journey back to Australia. Charlotte was so sweet, she stroked me on the face and told me ‘don’t worry mummy, I’ll look after you’ – awww! Shortly after I was crying so much she thought I was laughing, that she thought she would join in with a belly laugh…that actually cheered me up no end. This was closely followed by her falling over and wedging her whole body under a low level safety barrier. I will miss mum so much. She is very grounding for me. It has been so nice to have a day to day companion although I have eaten far too much cake while she has been here. It is Dad’s turn to visit next (they can’t both be away from their business at the same time) and he will hopefully be over at the end of September….so not too long to wait! While mum, was here I didn’t do much sewing, but did still do some knitting of an evening. I have been learning how to knit continental style and have been working on an Abalone cardigan (more on both of those another time). I also made something for my mum for her Birthday. Mum is not really a fan of scarves, or in fact anything wool like around her neck, but she really suffers from the cold, even more than me….and that is saying something! Having said all of that she borrowed and loved the pink crochet cowl that I made a few years ago and even more loved the Breckenridge cowl that I made this past winter. As it was her Birthday whilst she was here I offered to make one for her. She looks lovely, don’t you think? 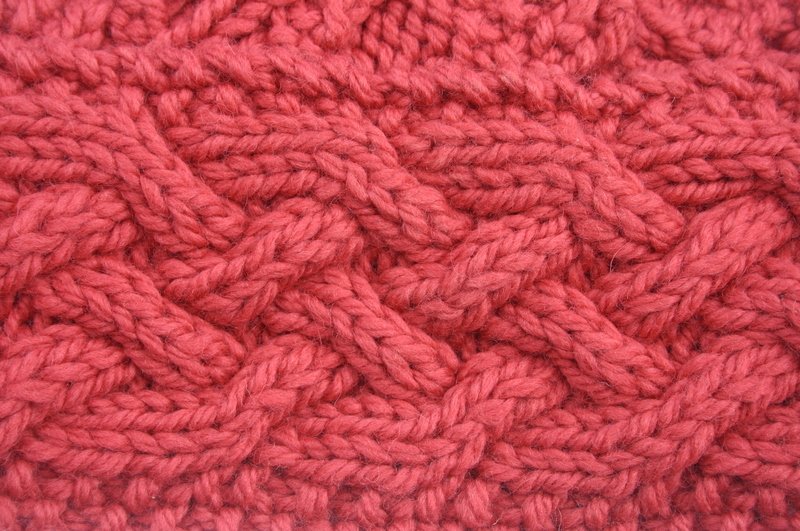 Coral wool was requested, but I really couldn’t find anything in a heavy enough weight and the right texture so we changed plans and used Rowan Big Wool in Lipstick. I really love this colour and will be making a little hat for Emily with the leftovers! 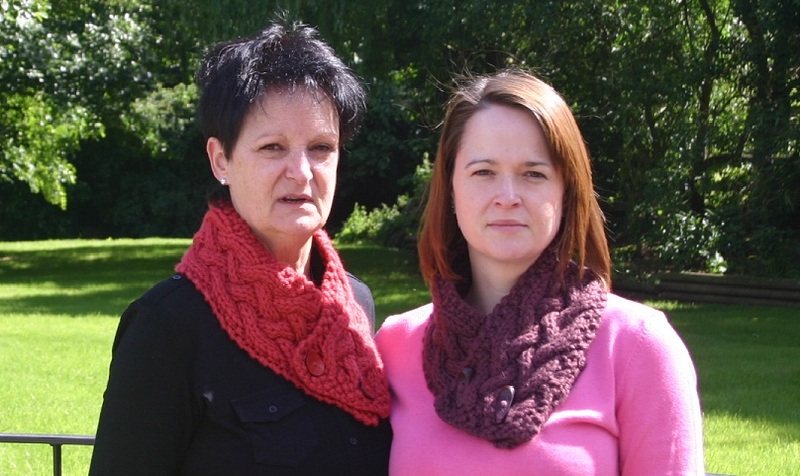 awwww, you look so lovely in your matching cowls!